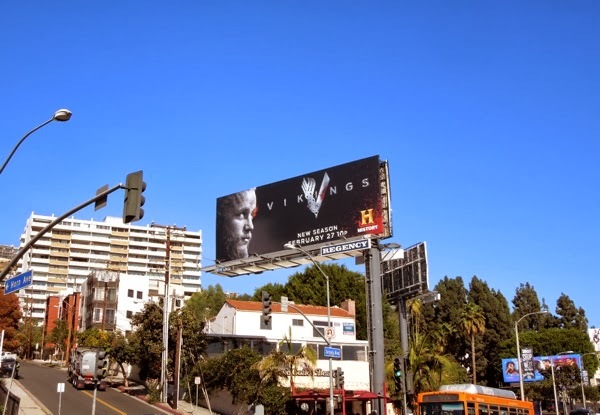 Who'd have thought a former Calvin Klein underwear model would have been the determined face of the marauding Vikings of the History channel. 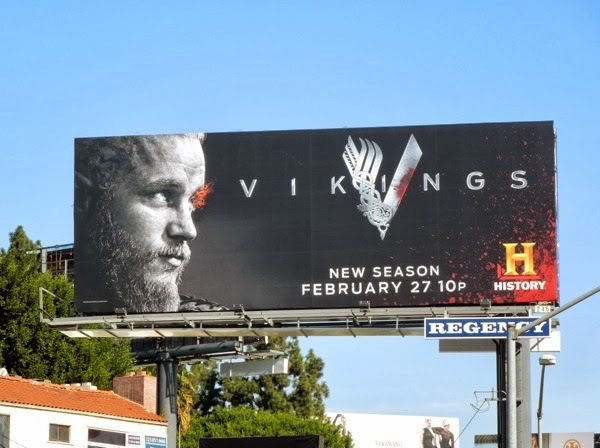 Travis Fimmel returns as 'Ragnar Lothbrok', the greatest hero of his age - fearless warrior, leader of his band of Viking brothers and devoted follower of the Norse gods and traditions. 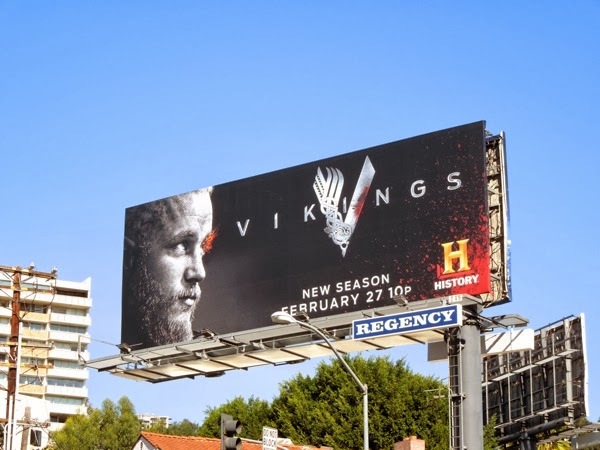 The first scripted series for History, Vikings was a ratings winner in its freshman season, so let's hope its sophomore year's mix of brutal invasions, power struggles and love triangles, along with stunning visuals will continue to capture audiences imagination about life a thousand years ago. 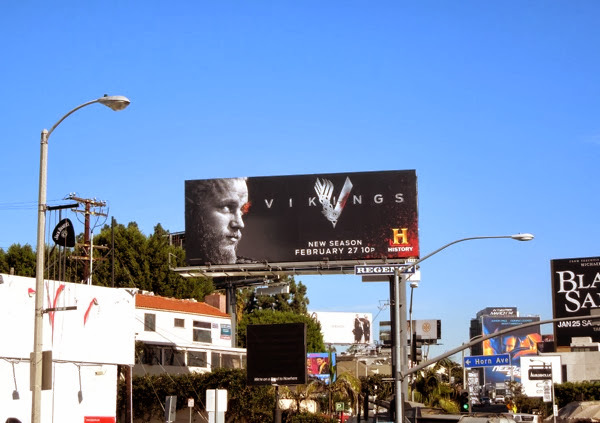 This striking billboard teasing the bloody second season of Vikings was first spied along the Sunset Strip in West Hollywood on January 20, 2014. 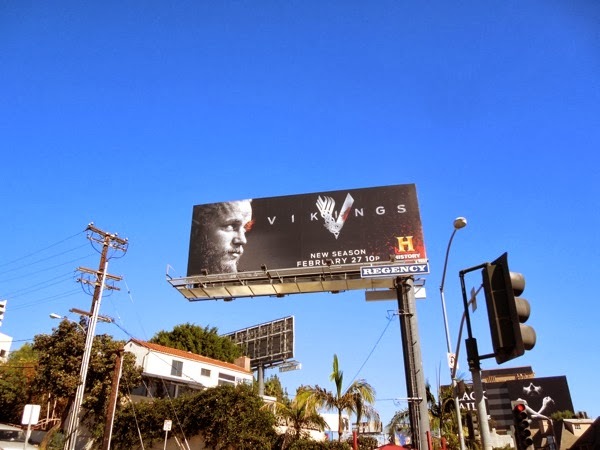 If you're a fan of the show, be sure to take a look at this array of billboards for the series launch of Vikings from early in 2013. Let the raiding and pillaging on land and sea commence.